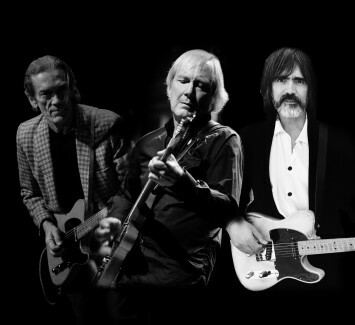 With three of the most prolific rock guitarists in the world Jim Weider (The Band) GE Smith ( SNL / Roger Waters band), Larry Campbell (Bob Dylan / Levon Helm band) this is sure to be a historic night of Blues & Roots Rock & Roll. Playing tunes from Roy Buchanan, Neil Young, Sam Cooke, Steve Winwood and more, the three Masters are joined by Lincoln Schleifer and Abe Fogel to complete this righteous band. Each with their own notable career and accomplishments, this trio comes together to play tunes from Roy Buchanan, Little Richard, Steely Dan, Lee Dorsey, Sam Cooke, and more. Rounding out the all-star rhythm section are Lincoln Schleifer on bass and Connecticut drummer Abe Fogel (Buddy Guy, Los Lonely Boys, Eric Johnson).